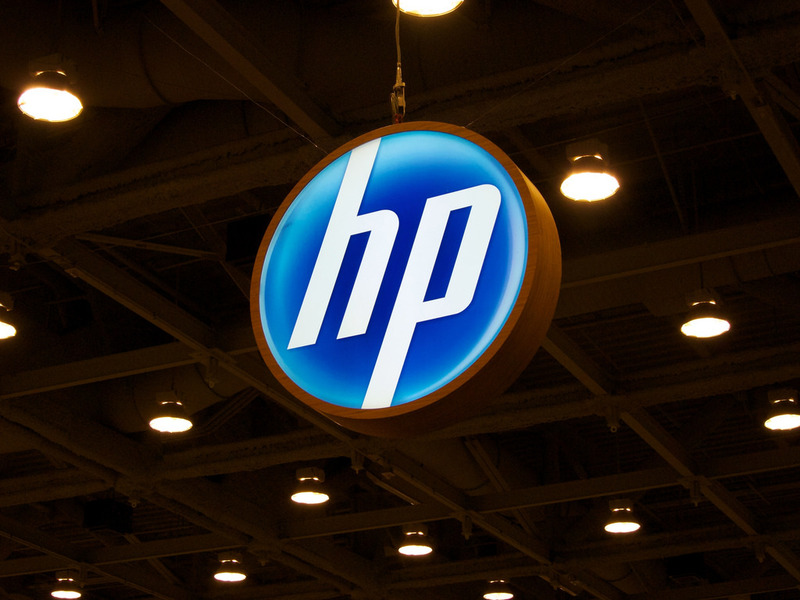 HP is one of the world’s leading personal systems and printing company. They create technology that makes life better for everyone, everywhere. their innovation springs from a team of individuals, each collaborating and contributing their own perspectives, knowledge, and experience to advance the way the world works and lives. Here are the openings for data science and machine learning at Hewlett-Packard. Data Scientist and Analytics Specialist in HP India will have a chance to mine and analyze data from companies database to drive optimization and business profitability. The aspirant will develop data models and algorithms that can be applied to data sets. Developers will use predictive modelling to enhance and optimize customer experiences, revenue generation, and other business outcomes. The candidate should have a Bachelor’s/Master’s degree in Computer Science, Engineering or related field with 4-10 Years of experience. Strong Data Science and Data Analytics skills and Machine learning skills. Self-development abilities to keep up to date with fast-changing trends A robust focus on business outcomes. Experience in applying statistical computer languages like R, Python, SQL, etc., for querying and manipulating data and extract insights from extensive data sets. Awareness of a variety of machine learning methods like clustering, decision tree learning, artificial neural networks, etc.and their real-world benefits/disadvantages. The Printing Adjacencies and 3D Printing Lab of HP Labs are seeking an individual to join their group as a research scientist in the department of machine learning. The candidate will research and promote scalable machine learning standards based on HP device telemetry and customer service datasets and operate with other research team members and business unit partners to explain proof-of-concept prototypes and help advance the technologies to market. The candidate should ideally possess an MS or PhD degree in Computer Science or relevant discipline and with expertise in machine learning. Advanced BS/BE applicants with significant experience and demonstrated track record may also be considered. General knowledge of machine learning, statistical modelling, or data mining. Effective applied maths background in numerical linear algebra, optimization, graph theory etc. Stochastics and statistics knowledge including probability theory, Monte Carlo, hypothesis testing. Industry experience building systems based on machine learning methods. Familiarity with Linux, AWS cloud, git etc. Prototyping and programming ability in C, C++, Python, Java, Matlab or R.
HP Labs research scientists are expected to research programs which will improve the state of the art and have a notable business impact for HP. The ideal candidate should have the capability to formulate research problems from a real-world utilisation. Also, the candidate should be able to cooperate with other researchers, developers, strategists, and product managers on distinct applications. Strong communication skills are required, and the ability to drive research results into products is profoundly appraised. Aspirants should apply exceptional subject matter knowledge to interpret composite business issues and is considered as a subject matter expert. Regularly share views development of new ideas and. Will work on complex problems where analysis of situations or data requires an in-depth evaluation of compound factors. Leads and/or contributes expertise to utilitarian project teams and may participate in cross-functional leadership. Expected to act as an authority providing direction and guidance to process developments and establishing policies. Regularly representing the organization to external customers/clients. Exercises vital independent judgment within broadly defined systems and practices to determine the best design for accomplishing work and achieving objectives. Expected to provide mentoring and guidance to lower level employees. Operates with large, complex data sets. Solves difficult, non-routine Group analysis problems, applying exceptional analytical methods as needed. Administering end-to-end analysis which includes data gathering and requirements specification, processing, analysis, ongoing deliverables, and presentations. Building prototypes analysis pipelines iteratively to give insights at scale. Developing a comprehensive perception of current data structures and metrics, advocating for revisions were needed for both products development and sales action. Interacting cross-functionally with diversified people and teams. Working jointly with Quality Program Managers and Escalation engineers to distinguish opportunities for, design, and assess developments to HP products. Making business recommendations like cost-benefit, forecasting, experiment analysis etc. with practical presentations for findings at multiple levels of stakeholders over visual displays of a quantitative report. Researching and developing analysis, forecasting, and optimization techniques to increase the quality of products and services. Masters degree in a quantitative discipline which includes, statistics, operations research, economics, computer science, mathematics, physics, electrical engineering, industrial engineering. 4 years of appropriate work experience in data analysis or a related field such, as a statistician/data scientist including deep expertise and proficiency with statistical data analysis such as linear models, multivariate analysis, stochastic models, sampling methods. Experience with statistical software like R, Python, MATLAB and database languages like SQL. Practical experience with machine learning on large datasets. Experience combining business questions and using mathematical techniques to arrive at an answer using available data. Experience translating analysis results into business recommendations. Show skills in selecting the right analytical tools for a given data analysis problem. Demonstrate sufficient written and verbal communication skills. Demonstrate leadership and self-direction and willingness to both teach/mentor others and discover new techniques. 7 years experience in project management roles or in like business roles. Demonstrate an in-depth understanding of fundamental Services operational policies, processes and methodologies applicable to project management. In-depth knowledge related to project management methods. Making use of and contributing services to PM Profession community. The aspirant needs to Mine and analyzes data from company databases to encourage optimization and business profitability. Develop data models and algorithms to connect to data sets. Candidate must be capable of using predictive modelling to improve and optimize customer experiences, revenue generation, and additional business outcomes. Bachelor’s/Master’s degree in Computer Science, Engineering or related field with 4-10 Years of experience. Good Data Science and Data Analytics capabilities and command over Machine learning skills. Self-development abilities to keep up to date with fast-changing trends and A strong focus on business consequences. Experience in utilising statistical computer languages like R, Python, SQL, etc. for querying and managing data and draw insights from large data sets. Knowledge of various machine learning techniques fundamentally clustering, decision tree learning, artificial neural networks, etc. and their real-world advantages/drawbacks. Experience in using web services like Redshift, S3, Spark etc. Experience in visualizing/presenting data for stakeholders using with help of Power BI, Tableau etc. As a Data Scientist, candidates will join an industry-leading organization and work on developing and implementing analytical models to distinguish optimal marketing, pricing and sales decisions for HP Printing & Personal Systems business in the American Market. Working in the Pricing Strategy and Analytics team, candidates will drive advanced pricing analytics like elasticity and cross elasticity, price optimization, pricing waterfalls, promotion effectiveness, dynamic pricing and apply their knowledge of statistical modelling and data. Insights from their statistical analyses will be employed to improve the marketing and pricing guidelines for HP printers, PCs, tablets etc. Aspirants will work closely with the Product category, Sales, and Finance to stimulate profitable growth. Implement statistical methods to analyze the effect of pricing and sales decisions on business execution. Practice building and evaluating machine learning principles on real business data, like naïve Bayes, Random Forests, boosted trees, neural networks. Understanding to merge various data sources, analyze data and conduct regression analyses including Probit/Logit and other GLM is expected. Knowledge about validating data flows and preparing ETL processes according to business specifications. Visualizing and interpreting the results of the analyses, including strategy recommendations. Presenting the results and similar recommendations to the relevant stakeholders, including senior leadership. Create and execute dashboards for the management to track current sales/profit performance. Generate and execute frameworks and processes for systematic data analysis. • Exceptional proficiency with R language is required. Familiarity with other compatible languages is a plus. 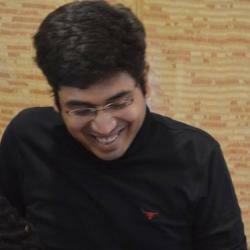 • Design, develop and validate statistical techniques for supporting pricing decisions. • Support and refine ongoing advancements to pricing models and algorithms. • Handle data from varying sources to highlight patterns, anomalies, relationships and trends. • Good perception of financial metrics and the expertise to leverage pricing decision using financials. Is Data Governance The Missing Key In Your Organisational Strategy?